Published on 14 May 2012. 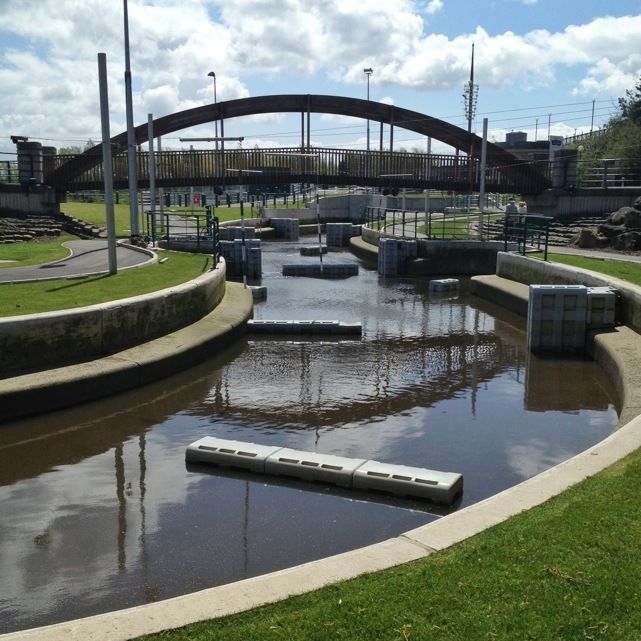 You’ll have seen last week that I featured the Tees Barrage, and mentioned how it supported a white water course. Well, this is that very course. It wasn’t running today, so the water wasn’t especially white, and the whole course looked a little tame. Still, I’ve included a closer photo below. This shot is interesting for showing some of the mechanics. Those things that look a bit like milk crates in the water (you can also see them in the first picture) are actually called “rapidblocks”. These can be repositioned to change the water current to create different flows and create different levels of challenge and difficulty. That’s how this course can be adapted to be suitable for both beginners and Olympians. 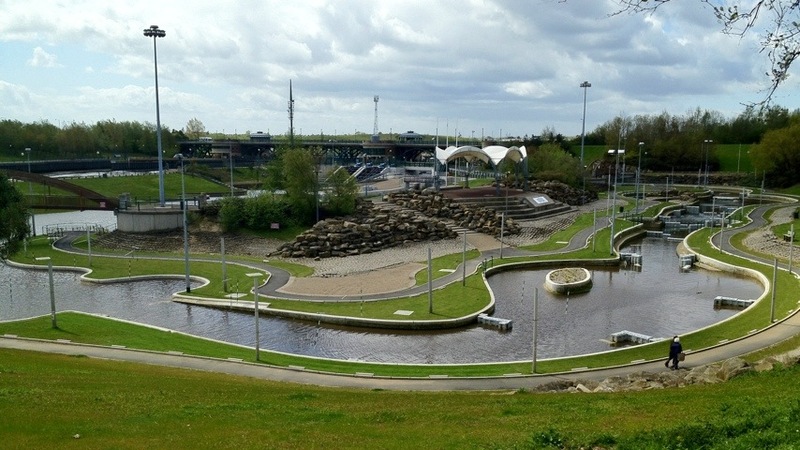 In fact, the blocks are the same as those that will be used at Lee Valley for London 2012, which is why the Tees Barrage International White Water Centre is being used as an Olympic training location for teams from across the world. This 1,646th post was filed under: Photo-a-day 2012, Olympics, Sports, Stockton-on-Tees.